THE latest Nanos federal ballot tracking (March 8) has the Conservatives at 36.1 per cent, followed by the Liberals at 32.9 per cent. The NDP is at 17.9 percent, the Bloc Quebecois (BQ) at 3.6 per cent, the Greens at 8.3 per cent and the People’s Party of Canada (PPC) at 0.5 per cent. 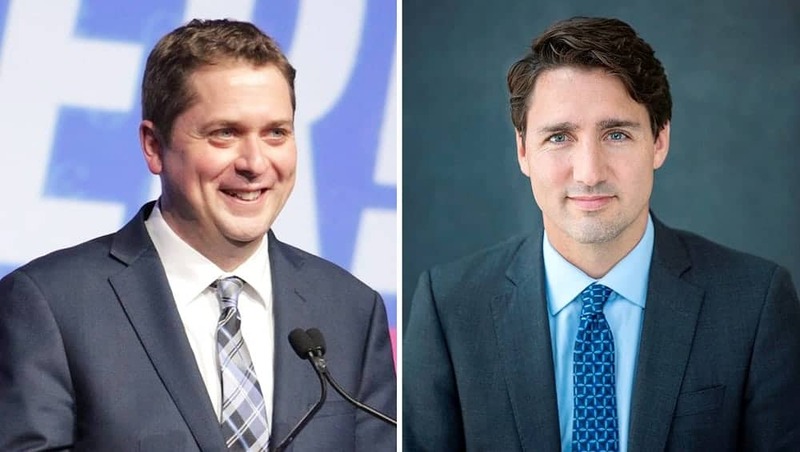 Asked whether they would consider voting for each of the federal parties, 48.2 per cent of Canadians say they would consider voting Liberal while 46.2 per cent would consider voting Conservative. Four in 10 (38.6%) would consider voting NDP, 30.2 per cent would consider voting Green, 10.7 per cent would consider voting for the People’s Party and 23.6 per cent would consider voting for the BQ. Nanos tracking has Justin Trudeau as the preferred choice as Prime Minister at 32.5 per cent of Canadians, followed by Conservative Party Leader Andrew Scheer (25.2%), NDP Leader Jagmeet Singh (7.4%), Green Party Leader Elizabeth May (7.1%) and PPC Leader Maxime Bernier (2.5%). Twenty-four per cent of Canadians were unsure whom they preferred. Half of Canadians (49.9%) believe Trudeau has the qualities of a good political leader, while 40.2 per cent believe Scheer has the qualities of a good political leader. One in four (28.3%) say Jagmeet Singh has the qualities of a good political leader, while 36.2 per cent believe the same about May. One in six (17.9%) believe Bernier has the qualities of a good political leader and 25.2 per cent said BQ Leader Yves-François Blanchet has the qualities of a good political leader (Quebec only).